THE PERFECT LOCATION FOR YOU AND YOUR HORSES. 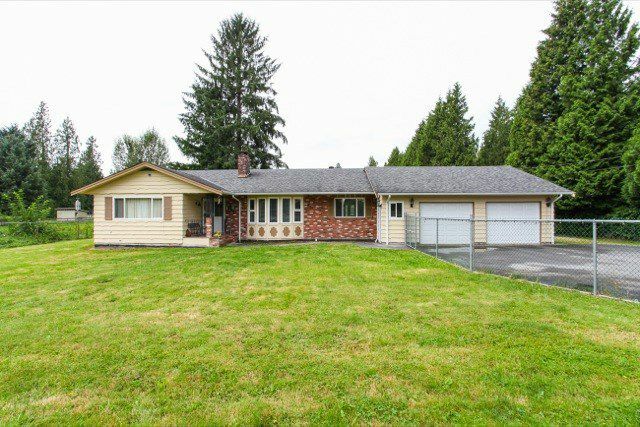 2 flat acres just a 5 minute drive to MR town centre or the Golden Ears Bridge and a 2 minute ride to the dyke and equestrian trails. The spacious 4 bed 3 bath rancher has a great floor plan and features a self contained in-law or Nanny's suite. There's a newer roof, windows and gutters as well as a new septic system. There's a 5 stall barn with power and water and a large shavings building with covered RV parking attached. Call now! Don't wait and be disappointed!